Within his role, he is helping financial services clients drive smarter, profitable growth, balance costs with agility, improve their risk management and industry differentiation by benefiting from IBM’s decades of deep industry experience in delivering the transformation of industries and professions with data, remaking the enterprise for the era of cloud, and enabling systems of engagement for the enterprise with social and mobile technologies. He is also part of the IBM European Blockchain team of experts, leading business development activities and helping clients solving real-world problems with Blockchain. In his previous role, he was the Cloud Services leader for IBM Greece and Cyrpus. 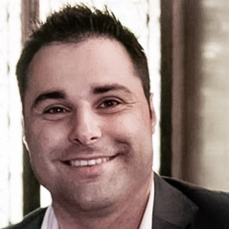 Fotis joined IBM in 2009 as a Sales Specialist in the Global Technology Services Division. He holds a Bachelor in Computers Engineering and Informatics Development from University of Patras, an MSc in Distributed Information Systems from Heriot Watt University, Edinburgh UK and an MBA from Warwick Business School, focusing on fintechs and disruptive innovation in the Banking Sector.